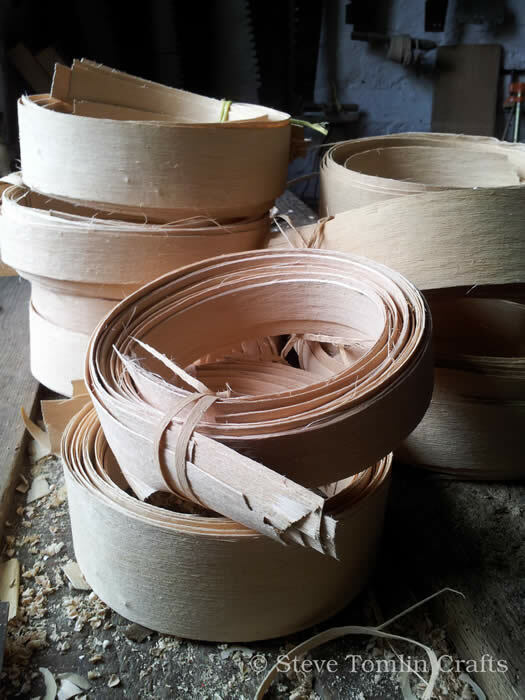 In 2018 there will be a rare opportunity to learn about Ash Splint Basket Making on a two day course led by the highly repected craftsman Steve Tomlin. Location: Yurtworks, Greyhayes, St Breward, Bodmin, Cornwall, PL30 4LP. Cost: £ 190.00 includes materials. Ash Splint Basketry is a new and exciting craft being introduced to the UK. 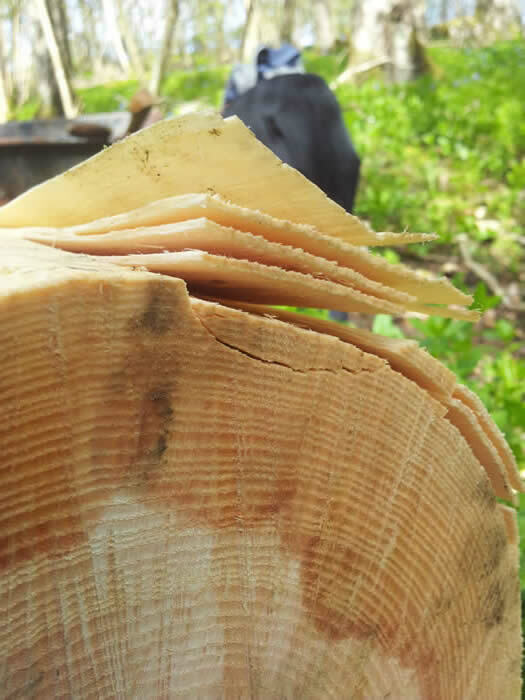 An ash log is pounded to separate the individula growth ring layers which are woven into ligtweight elegant and strong baskets. Traditionally carried out in the US, Steve learned to make these baskets with April Stone- Dahl, an Ojibwe craftswoman from Wisconsin. You will learn about pounding, grading, and preparing splints and the skills to weave a practical and beautiful fruit basket. The course will also include a short walk to see where the ash is grown and identify the most suitable trees for this kind of work.